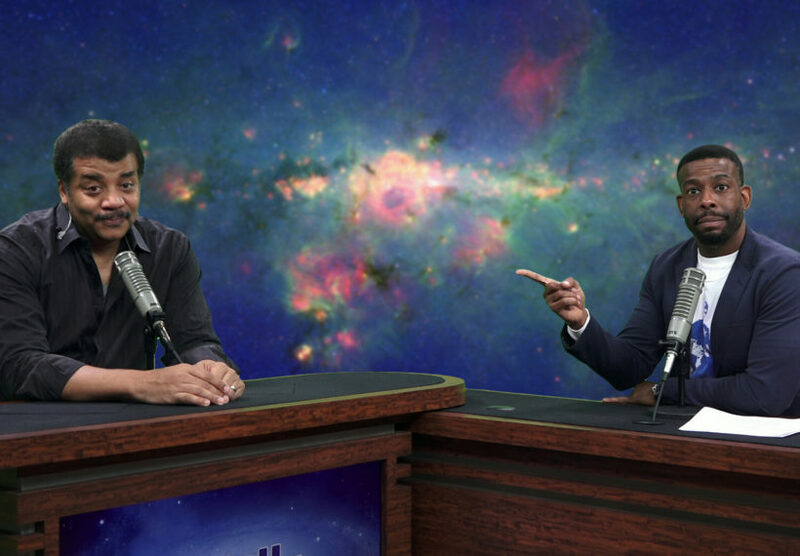 Neil deGrasse Tyson and comic co-host Chuck Nice answer fan-submitted questions that take you across the universe to explore merging black holes, Hawking radiation, the Fermi paradox, time dilation, the death of the universe, and more! Technology, space travel, a changing climate – What does the future hold for us? Neil deGrasse Tyson ponders humanity’s future alongside comic co-host Maeve Higgins and astrophysicist, author, and Astronomer Royal Sir Martin Rees. Explore the intersection of science fiction and national defense inside the high-tech government agency developing America’s top-secret weapons of the future with Neil deGrasse Tyson, co-host Chuck Nice, former DARPA Director Arati Prabhakar, journalist Sharon Weinberger, and roboticist Hod Lipson. The astrophysicist is in! Join Neil deGrasse Tyson and comic co-host Chuck Nice as they answer fan-submitted Cosmic Queries on the possibility of life in the universe, space dust, relativity, intergalactic space war, reliable news sources and more! SETI Institute Senior Astronomer Seth Shostak, is back to host StarTalk All-Stars and go exploring exoplanets with guest Jason Wright, Associate Professor of Astronomy at Penn State, and co-host Chuck Nice.